Design is a critical component of business performance. We’ve heard designers, commentators and companies say it. But, to date, the evidence for the link between shareholder return and investment in design has been scarce and anecdotal. With a research universe of 166 design-led companies, tracked over ten years, we have seen an outperformance of 200% against the FTSE 100 and FTSE All-Share. This adds to the growing evidence that design measurably improves company performance. For the financial community, it offers a new way of looking at investment. And for business managers and designers alike, it provides the business case that is needed in an increasingly rigorous business environment. 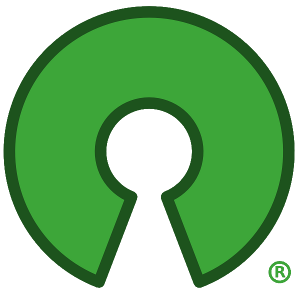 I have long believed (at least back to 2002) that a similar, measurable effect could be observed among companies adopting open source software, particularly those who were replacing their proprietary OS platforms with Red Hat's Enterprise Linux (the only concrete data I could actually observe and quantify by date and amount). Those who are scientifically-minded can immediately recognize the challenge of discerning whether or not the market-leading performance of many of these companies is due to the adoption of open source or whether the adoption of open source is merely an indicator of a company that is comprehensibly able to outperform their competition. Whether or not you are convinced that the Design Council's work has definitively shown a causal link between the practice of design and market out-performance, they have certainly shown that the practice of design is a strong indicator of out-performance potential. And I believe that the adoption of open source is at least a similar indicator, if not an outright causal factor in market out-performance of open-source adopters. Or, when companies get better value for money, they are better able to deliver value to their customers, their shareholders, their employees. And for three years in a row, 1000s of CIOs surveyed by CIO Insight magazine all name an open source vendor as their most valuable vendor. I should think that if these executives have in fact found a superior source of value, that value should be observable in share prices.